Last summer, I was in China. I had been at an alloy frame factory, and was heading back to Shenzhen to meet my girlfriend who was flying into Shenzhen airport. She’d been working in China, moving an exhibition between two cities, and was meeting me there, to come and see some carbon fibre factories. Her idea of fun. Anyhow. I’d got some general industry spam a few weeks earlier from a company that said they could make us things in carbon. I’d politely replied, and said I’d drop in to see them on my trip. I’ve worked with a lot of factories – this was a new one. The journey from the frame factory to the carbon factory didn’t go that well, and I was a bit pushed for time. So I got there late, embarrassingly late – and was met by ten people. The CEO, GM, Head of Production, Head of Sales, Sales Assistant, R&D manager. Loads of people. And just me and my rucksack. And the raging horn to meet up with my girl who I hadn’t seen for three weeks. Anyhow. They started showing me round. The usual stuff. Powerpoint presentation. Chiller room with carbon. Cutting room. Layup room. Molding room… All the usual stuff. They made “sporting goods” – not just bike parts. As well as the very high end Euro TT aero bars, they also made golf clubs. And baseball bats. Their prices for carbon frames was off the scale expensive. Their rims seemed pricey too. I don’t always try and work with every factory, but these people seemed good. But I couldn’t work out what to do. 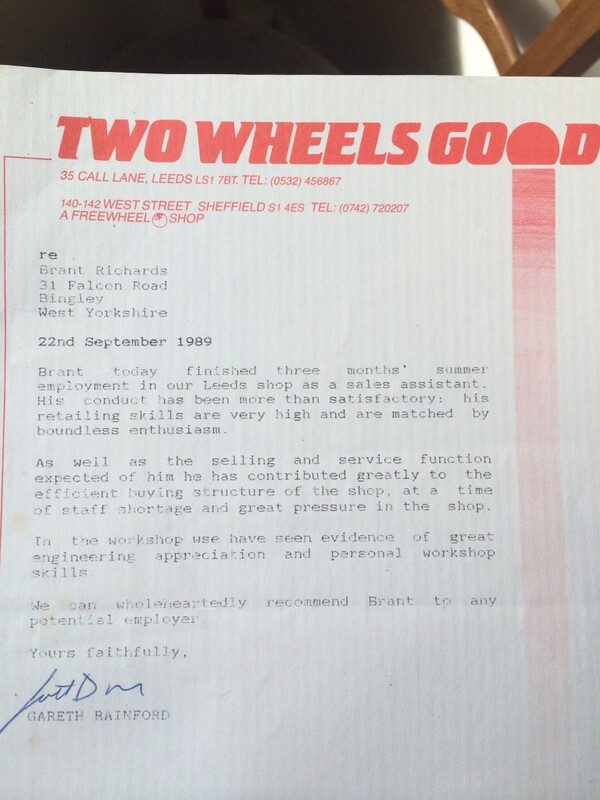 And so, I high tailed it out of there, with their sales guy in the car. His english was great. And we were chatting. I was thinking back over the stuff I’d seen. Golf shafts being tested for stiffness. Baseball bats that had tough outer coatings. 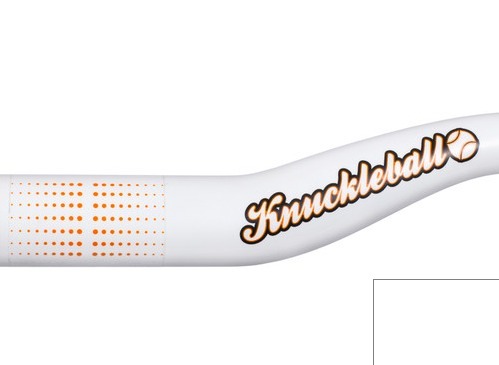 And that’s how the Knuckleball bar was formed. I remember seeing some very flexy carbon stuff way back when, when I was at MBUK. I remember John Stevenson having a flexy carbon post snap and nearly impale him. 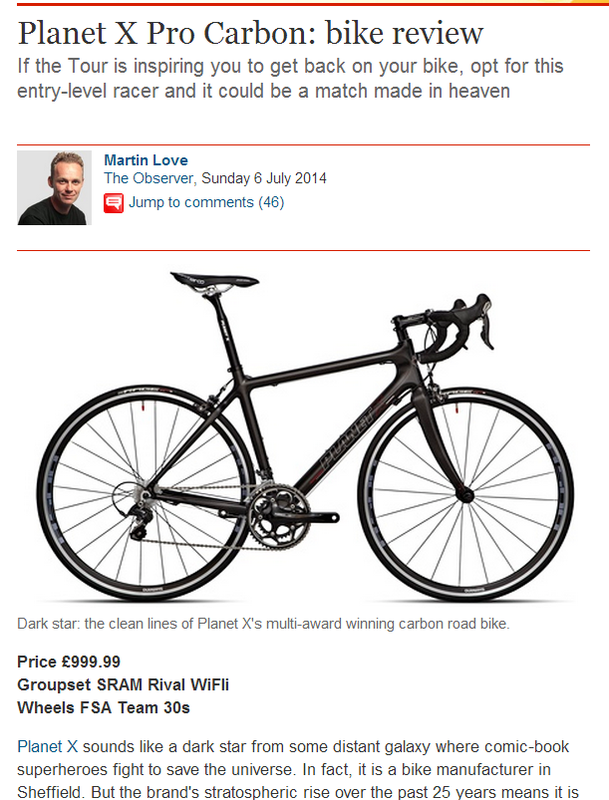 I knew people were offering carbon bars which could “absorb trail shock”. But hey – I couldn’t remember anyone making the same bar, in two stiffness moduli. A stiff and springy version. “Hard and Chewy” said William. Like candy! And so it started. That’s the On-One Knuckleball Bar.